Salman Khan’s Diwali release Prem Ratan Dhan Payo directed by Soorja Bhatiya has got an advance 5 day booking and the advance bookings for the first day are all sold out. the screens in approximately 5000 screens will take massive openings with the ticket prices range from 300-600 across the metros. Cinegoers are eager to watch the grand family drama Prem Ratan Dhan Payo starring Salman Khan and Sonam Kapoor as the leads. Prem Ratan Dhan Payo is also releasing in south in dubbed regional languages, and the film is likely to take good openings in South states as well. Anupam Kher, Neil Nitin Mukesh, Swara Bhaskar, Deepak Dobriyal and Armaan Kohli played pivotal roles in this Rajshri production movie. 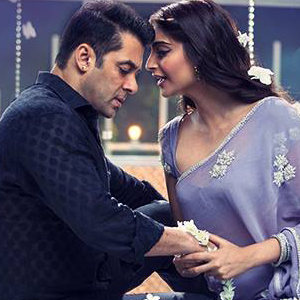 The censor formalities have been completed and the Board recently suggested three cuts in Prem Ratan Dhan Payo and the unit have considered them.